Iâm Teresa Morrow, Founder of Key Business Partners, LLC and I work with authors & writers to help them with their online book promotion and marketing. As part of my job I read a lot of books (I love to read anyway!). The books in The Book List series will cover a range of topics such as social media, product development, marketing, blogging, business, organization, career building, finance, networking, writing, self development, and inspiration. David Fraser gets it! The struggle out there is the projection of the struggle in here. We canât begin to heal the world until we heal in here. In addition to being a good âread throughâ this book is great to dip into when searching for some insight into what may be holding you back â there is a wealth of great content to help increase personal effectiveness. Ian Laird, Managing Director NiTech Solutions Ltd. The ability to relate to other people is the most critical skill a person can ever have â at work, at home or anywhere else â and strong people skills simply make everything else easier. With the right approach, developing relationship expertise is an easy route to success and one of the few reliable and enduring ways we can improve our lives. But we need to take the task seriously. Drawing on practical psychology, Neuro Linguistic Programming (NLP) and other wisdom from various philosophies, as well as first-hand experience of organizational life, David Fraser, Ph.D. offers a systematic, practical and intelligent approach to achieving success with other people. Packed with real-life examples and tried-and-tested steps to take, this book is for business professionals who want to develop their interpersonal relationship skills as a key strength. In his âvery positive, helpful and enlighteningâ and ultimately âupliftingâ book, the author sets out the 12 essential areas of interpersonal insight and growth: (1) Attention to others; (2) Attitude; (3) Self-control; (4) Tuning in to people; (5) Personality; (6) Connection; (7) Values â working with what matters; (8) Language; (9) Self-awareness; (10) Attention to yourself â clarifying what you really want; (11) Balance; and (12) Love â the power of care. ~ Persuasion, assertiveness, and logic arenât in themselves the answer. ~ We can have a systematic approach to relationship skills using NLP as the basis. ~ The meaning of any communication is indicated by the response it gets. ~ Listen mindfully for maximum attentiveness. ~ Our habitual choice of visual, auditory, kinesthetic, and auditory-digital thinking affects our lives and our relationships much more than we probably realize. ~ We unconsciously filter the information we receive and have different preferences about what we filter for. ~ Remember: about seven percent of the meaning of what we say is conveyed in the words themselves. The rest of the message is in our voice and other non-verbal communication. ~ We delete, distort, and generalize information going from our own internal thoughts to what we actually say. Dr David Fraser has a track record of pioneering new approaches to old problems. He has delivered major projects for government and private sector clients in complex and challenging situations and set up a number of entrepreneurial ventures. He is a company director and Chartered Engineer with a First Class Honours degree and a PhD from Glasgow University and an MBA from Strathclyde University. He is a qualified commercial mediator and a Neuro-Linguistic Programming (NLP) Master Practitioner and has trained with leading proponents of these disciplines. David has taken a particular interest in the skills we use to relate to other people, continuing this study over a number of years and through the highs and lows of professional and personal life. David applies his unusual blend of expertise as a project manager and facilitator to support disparate groups working together in complex circumstances, including major collaborative projects and matters of national importance. He has also found the approach set out in Relationships Made Easy for the Business Professional to be extremely helpful in his home and family environment. David runs workshop and coaching programs for both organizations and individuals. With his breadth of knowledge, an engineerâs talent for organizing systematic and reliable solutions, and an ability to write in an interesting, direct, and readable way, David is well positioned to address the age-old problem of how to build effective relationships with other people. David lives with his wife and three children in Glasgow, Scotland. 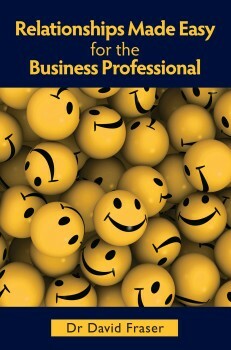 You can order a copy of ‘Relationships Made Easy for the Business Professional’ online at Amazon. *this information came from Amazon. Next, I would like to introduce you to a book on the business book list on Amazon: ‘The Corner Office: Indispensable and Unexpected Lessons from CEOs on How to Lead and Succeed’ by Adam Bryant. This book came out recently on the new releases (business) list on Amazon. Adam Bryant, the deputy national editor of The New York Times, has been a journalist for more than two decades. He was a business reporter for The New York Times during the 1990s, covering a variety of industries and topics, including airlines, aviation safety, executive compensation and corporate governance. He joined Newsweek in 1999 as a senior writer, and was promoted to business editor. After six years at Newsweek, he returned to the Times as an editor in the business section, where he oversaw coverage of the collapse of the Detroit auto industry, among other stories. Adam was the lead editor for two prize-winning series: “Driven to Distraction,” about the dangers of cellphone use behind the wheel, which won the Pulitzer Prize for National Reporting in 2010, and “Toxic Waters,” about water pollution, which won a number of awards. In March 2009, Adam started the weekly “Corner Office” feature in the Times’ Sunday Business section, and it quickly attracted a large and loyal audience for its insights about leadership and management from prominent leaders. For his book, The Corner Office, Adam studied the transcripts from more than 70 interviews, and looked for patterns, broader themes and lessons. He wove together their candid and wise insights into a book that offers timeless advice on how to succeed, manage and lead. Adam lives in Westchester County, New York, with his wife and two daughters. You can purchase a copy of ‘The Corner Office’ at Amazon.